The often fatal Ebola virus has been getting so much attention lately as a number of healthcare professionals from the United States, working in Africa, have become infected with the virus. Since this virus is thought to have originated from animals, the question on many a pet lover’s mind is, "Can Ebola infect our family pets?" This too, has received much attention of late, so we here at Pet Health Network want to clarify the facts. The Ebola virus itself, which is believed to have originated in Central Africa, probably started in birds, bats or primates but the current main reservoir of the Ebola virus is most likely the African Fruit Bat (and remember, bats are mammals!)1. The virus has also been found in many other animals such as pigs, antelopes, porcupines, rodents, and even dogs! To date, the virus has not been found in any wild felids in Africa, so at this time, it’s thought that cats are probably immune. Primates, like gorillas, chimpanzees, monkeys and of course, humans seem to suffer the most adverse effects of the disease1. Ebola is considered a zoonotic disease (an animal infection which can spread to other animals and to people). Transmission and spread in animals is usually from eating the meat of an infected animal. In humans and animals Ebola can also spread from body fluids such as urine, feces, saliva, vomit, and blood2. 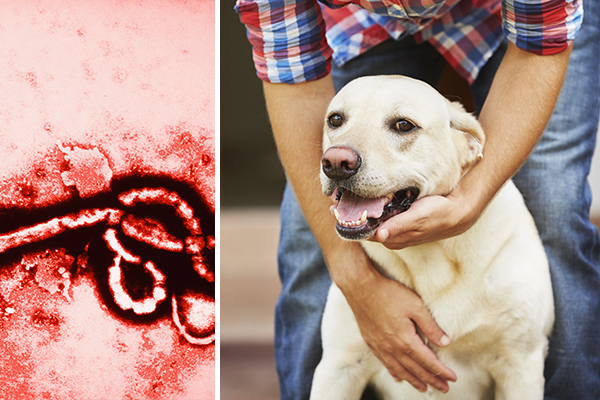 Should I be worried about my pets getting Ebola? So here’s the good news (you’ve been waiting for): Yes, the Ebola virus can spread, and has been found in dogs, but to date, according to the Centers for Disease Control, infected dogs remain asymptomatic; they may be able to harbor the virus, but are not affected by it. Dogs can, however, especially in the early stages of their infection, potentially spread the disease to humans via bodily fluids2. Once the dog’s immune system clears the virus, the dog is no longer infective. In the US, chances of a dog contracting or passing along the virus are EXTREMELY LOW because they would have to come into direct contact with the disease. So, now, hopefully, you can rest easy---your family cats seem to be resistant to the Ebola virus, and your dogs, though they can become infected, remain asymptomatic. Dogs can also clear the virus without any treatment. As the virus itself is relatively new, and we’re rapidly learning more about it, I’ll keep my eye out for any new information and privide it here. 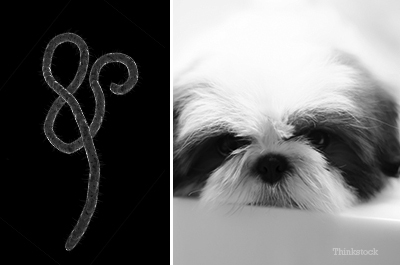 about Ebola in pets, click here to read more. 1.Viegas, Jennifer. "Ebola's Deadly Jump From Animal to Animal: DiscoveryNews. 30 July 2014. Web. 28 Sept. 2014. 2. Coren, Stanley, Ph.D. "Can Dogs Get Infected by the Ebola Virus?" Psychology Today: Health, Help, Happiness + Find a Therapist. Psychology Today, 12 Sept. 2014. Web. 01 Oct. 2014.